“My husband and I got married at Upton in August 2018. It was everything we imagined and so much more! The team made us feel at easy and nothing was too much trouble. The venue is absolutely stunning and the new barn is an amazing addition. The day was so well organised and ran without any hiccups. The team even went above and beyond to keep the three best men in check when they were getting mischievous. I couldn’t recommend Upton enough, I wish we could do it all over again”. “Upton Barn is absolutely stunning! We fell in love with Upton Barn the first time we visited. We knew it was the perfect venue for us to have our wedding the moment we visited! The gardens and grounds are beautiful and perfectly maintained! The Barn is done up to amazingly high standards! All the staff our incredible and make you feel like family! Nothing is too much to ask and they make you feel totally relaxed. They will help, recommend and point you in the right direction if needed! We could not recommend Upton Barn enough for a wedding venue! Thank you so much for helping us to have the most perfect wedding day x”. “Brilliant venue brilliant staff all so helpful and highly recommend Upton Barn to anyone excellent value for money! Can’t speak highly enough. 5 star “. “An absolutely beautiful day from the moment we arrived for my cousin’s wedding all the way to the end of the night. Fantastic setting, beautifully designed and lovely friendly staff who were always happy to help. Food was absolutely delicious. Wish it was running when I got married!!!! I now want to renew my wedding vows so I can have it all at Upton barns and welled garden. Just breath taking”. “Thank you so much for everything you did in preparation for our wedding as well as on the day itself! From the moment we walked into the walled garden in April 2017 I (the bride) got goose bumps, we looked at each other and we knew we wanted to get married at Upton Barn and Walled Garden! From that moment on every member of the team were so friendly and did anything they could to help with planning every little detail! Although the weather meant we couldn’t be married in the walled garden as we had planned, the barns were made even more beautiful with our personal touches giving an intimate feel to the day! The whole day went so smoothly and we had the chilled and relaxed atmosphere we wanted! We have had some really lovely feedback from our friends and family too! They have said how stunning the venue was and how amazing the staff were, for example with empty glasses being picked up as soon as they were put down. The little things we didn’t even notice! “Amazing, so overwhelmed by how on it the team was when the weather was not on our side yesterday. The whole thing ran seamlessly, getting me into the barn without a drop of rain on me to walk down the aisle. The decorations and setup were exactly as I asked and beautifully set out, mostly of course due the stunning design of the venue. Fantastic planning and execution from start to finish, we love you guys!! “. “Beautiful wedding on Saturday for my brother and sister in law! Amazing venue,food and so well looked after by the staff. A truly magical place”. “Richard & Claire, the owners made us feel confident & at ease with all the choices made & also encouraged us to make the day individual by eagerly supporting our ideas & were as excited as we were as the day approached. Nothing was too much trouble for them & our guests were completely at ease on the day, as we were too! 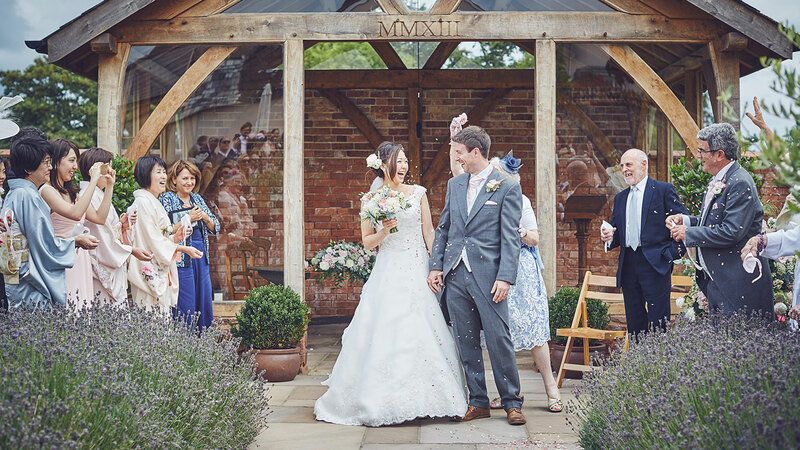 “From the first time we met Claire & Richard we fell in love with Upton Barn. Not only for the obvious features of beauty surrounding the venue but for the notable special touches and how welcoming they both were. Upton barn sells itself with how amazing it is but it’s really down to the wonderful people working there that make the difference. We had a long two year engagement and in that time it was a joy to see Upton barn flourish and win so many awards. I can tell you from experience these awards are won because Upton Barn is a truly unique special venue run by two lovely people. The fact it continues to win awards is a testament to the ongoing hard work they put in. During our engagement we kept in touch and nothing was too much to ask. On our special day everything went like clockwork and Laura and I lost ourselves in the beauty of the walled garden, the serenity of the Press Bar and Barn. Upton Barn and their workforce work tirelessly to make sure your experience is perfect and their attention to the little details really do escalate them way above any other wedding venue. To Richards homemade (and stunning) tables to most colourful and beautiful smelling garden, every detail has been carefully considered to make sure the experience is perfect. “The most amazing day all thanks to you all. Everything was perfect from start to finish. 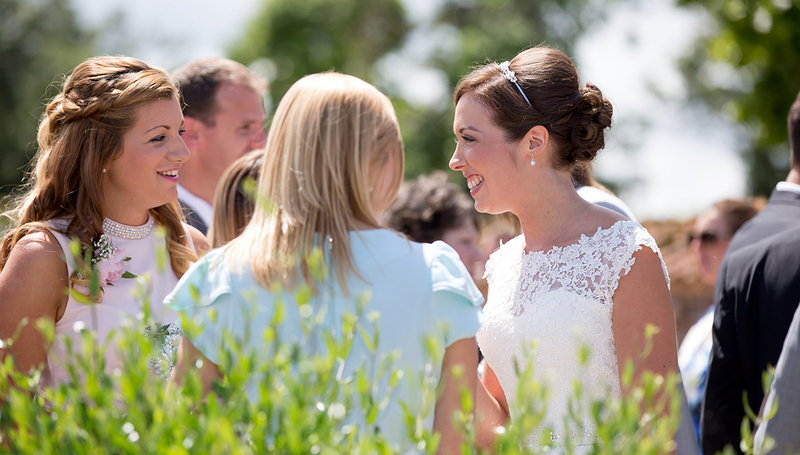 Planning the wedding was made so simple because of your wonderful team….Richard, claire, pippa, Rosie and polly. Nothing was too much trouble, however silly the question. 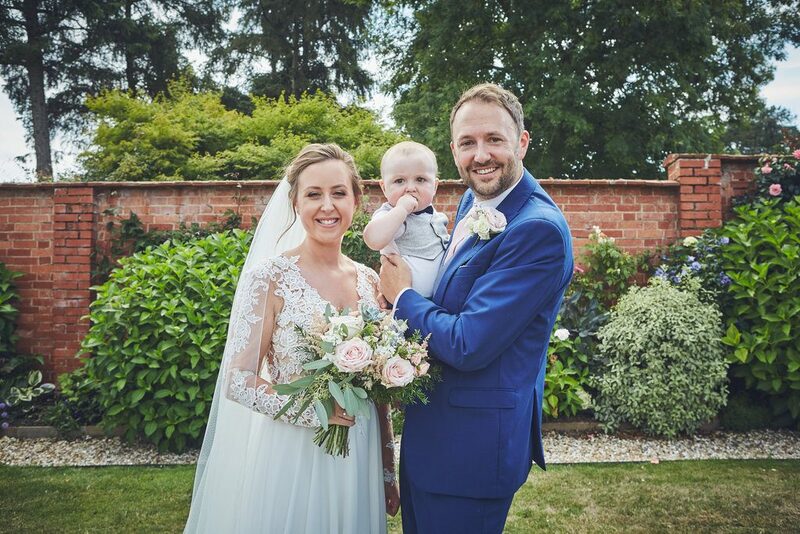 “From the first time we met Claire & Richard we fell in love with Upton Barn. Not only for the obvious features of beauty surrounding the venue but for the notable special touches and how welcoming they both were. On our special day everything went like clockwork and Laura and I lost ourselves in the beauty of the walled garden, the serenity of the Press Bar and Barn. 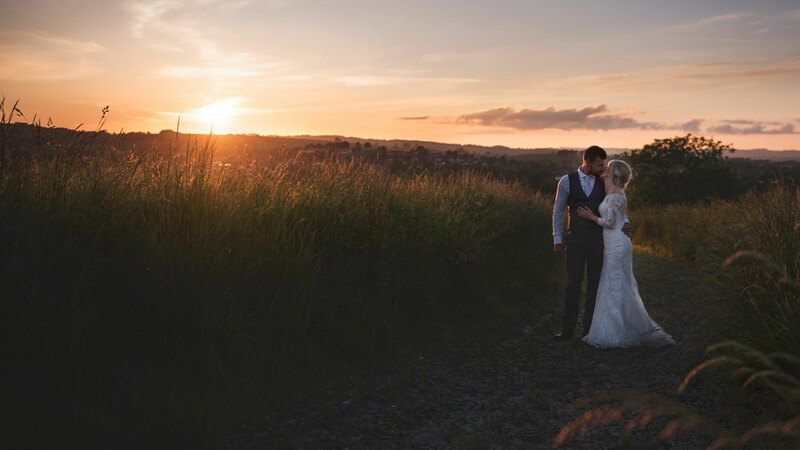 “From the moment we arrived at Upton the first time, we knew we had found our dream venue. I remember feeling so emotional when I pictured myself marrying Sonya in such a beautiful setting. Claire and Rich, every time we met or spoke to you from then on, you were so kind, helpful and easy to work with. You made our planning process feel so personable that we felt like we were meeting with old friends. Every question we asked or any of the random things we wanted to do, you made it all so easy for us. We didn’t get to meet Polly until the day before and Rosie until the day of our wedding, but again both were so kind to us and so reassuring and easy to work with. Everything we asked was no trouble and you were able to help us feel that everything was completely under control. From our separate arrivals, coordinating our very special first look, directing our bridesmaids and best men, co-ordinating the beautiful decorations, music, guests, speeches, food and drinks….every single thing just went perfectly.